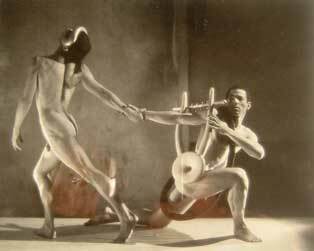 George Platt Lynes, Nicholas Magallanes and Francisco Moncion in “Orpheus,” 1950. Exploring homosexual orientation is a journey underground, to the realm of silence and uncreated things. There are no easy assumptions and predetermined projects. Each queer person begins by asking what it means to be queer. Who am I? What am I here for? Is there a buried history? A higher purpose? A special gift for art and music? Or is queer something one can refuse to be, like James Baldwin, who puts it down to “love, in the tough and universal sense of quest, and daring and growth”? [i] Homosexuality is marked by this existential uncertainty, a passionate awareness of personal responsibility, a need to call into being both self and community. Homosexuality means we cannot live an unexamined life. And here, with respect to all the queer people who do, I will say again that I am speaking of homosexuality as a social construct, and not describing particular queer lives. In social and cultural terms, homosexuality is de-naturalized, set apart as a problem which requires at least an opinion if not a solution. “The love that once dared not speak its name now can’t keep its mouth shut,” Time Magazine opined after the Stonewall Rebellion in 1969. [ii]Homosexuality is the sexuality which must be described, hushed up, explained, claimed, denied, celebrated and studied. Every GLBTQ person forges an identity inside this welter of words and silences. Each one of us is invited, if not forced, to scrutinize history, personal feelings and the structure of society before we admit to homosexuality. Home is homosexuality – an underground reservoir of cool, sweet water. In her 1974 sociological study, Carol Warren writes, “The gay world, because it is stigmatized and set apart, is one that demands total identification. Thus a person who affiliates with the community and accepts gay identity possesses a rarity in contemporary life: a total and all-encompassing core of existence by which to answer the question Who am I?”[iv] Being queer embraces all of who we are. It answers the heart’s deepest yearnings for place and identity. Queer is achieved by the lonely undertaking of a mythic journey. Yet our identity is derived from the hard give and take of our connections with one another. Queer community gives us a name and a home, though it scarcely exists. No institutions support it; no place defines it; no spokesperson can represent it. The community is “an ephemeral, woven network of belonging” (Aaron Betsky)[vii] that depends on our participation. Orientation continually weaves both self and community. Homosexuality makes us acutely sensitive. We need to be open and empathic enough to find our way in and then brave enough to find our way down. We move inside the maw of fear, past all the possibilities and expectations we were born to, guided by feeling, going on faith. It is a journey home to love. Each queer person can claim and embrace a self that balances sensitivity with courage, delicacy with strength. Concomitantly, we learn to have and to hold each other. Love that is big enough to admit us can also admit what is awful and incomplete about us. We hold on, even to the terrible and tedious aspects of the beloved, inside this space of radical openness. We hold all the glittering immensity we can be and give birth to. Our passions take us down into the secret heart of the world. Inside the dark earth, down deep below the surfaces, we find this untapped aquifer of queer meanings. [i] James Baldwin, 1985, (375). [ii] quoted in “Today’s Outlook” 1998 Calendar, Nov. 6-7. [iii] Robert Hopke in conversation with Mark Thompson, 1994 explores The Wizard of Oz as a gay myth. [iv] Carol Warren, 1974, (145) or (162). [v] This is a question asked by Michel Foucault. © Copyright 2019 Queermap | All Rights Reserved.